From India (details here) I flew on to Istanbul, the largest city in Turkey. 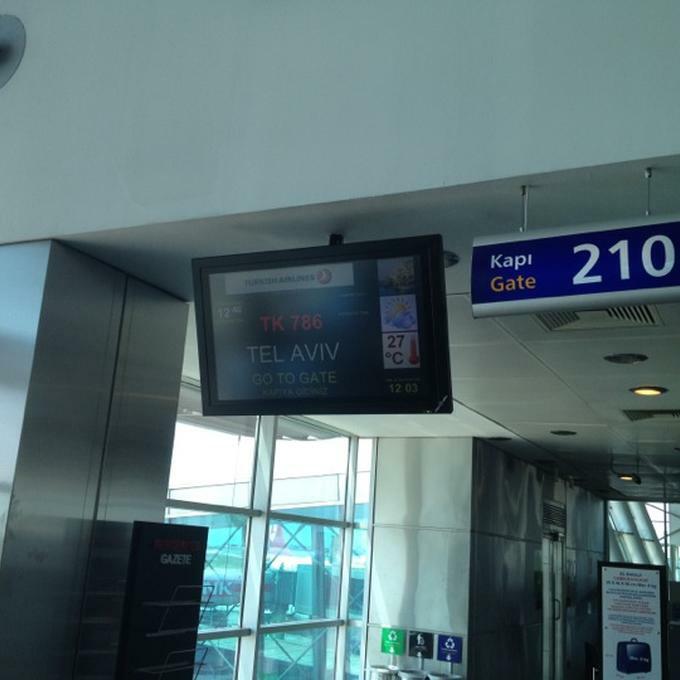 I absolutely loved Istanbul and I hope to spend much more time there in the future. 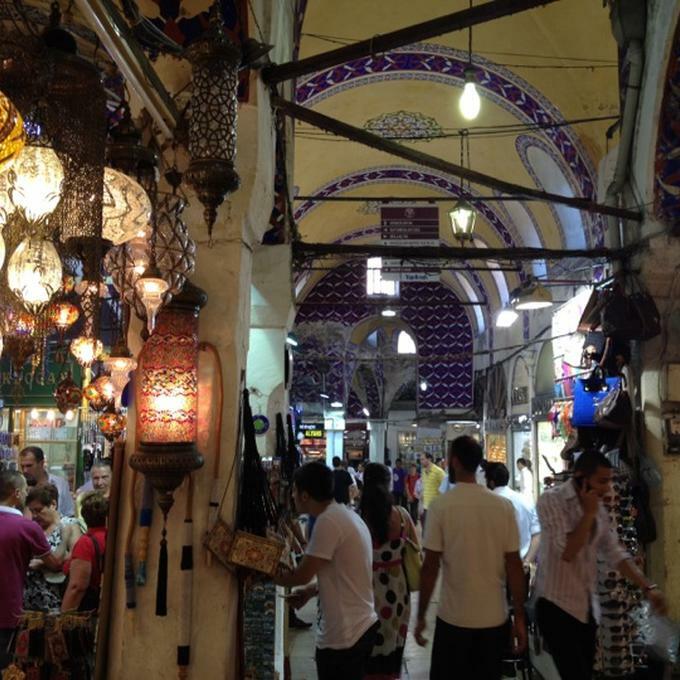 In some ways, it was the opposite of India: I basically went to Istanbul to visit my friend Seda and see a couple of buildings, but ended up loving the city, extending my stay, and being positively surprised in many ways. 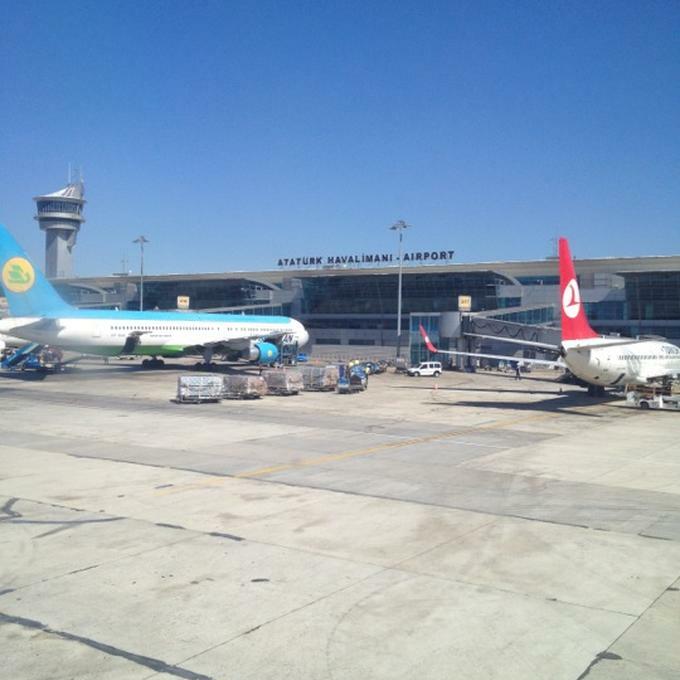 Arriving at Ataturk airport in Istanbul. 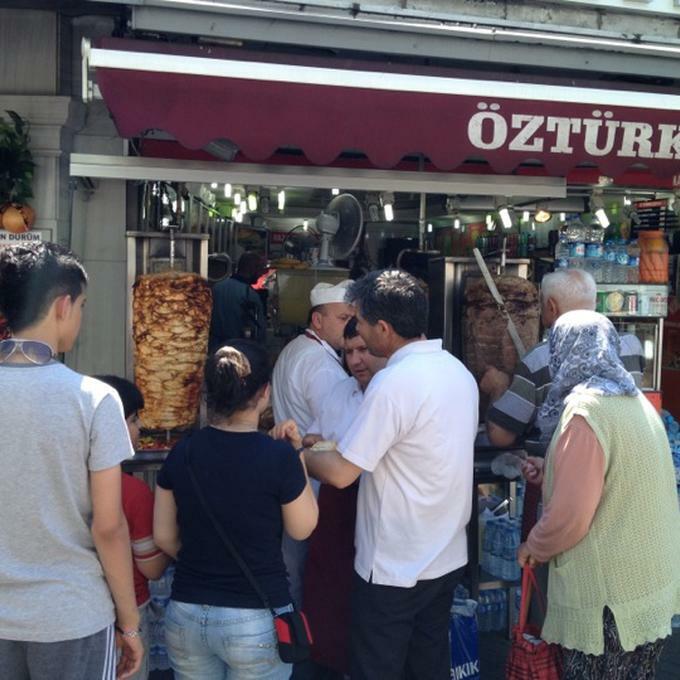 The first thing I ate in Istanbul was one of the famous small spicy burgers in Taksim. There are many street vendors who sell them, and it’s basically a slightly spicy marinara-type sauce on a little lamb or beef burger, a pretty solid street snack. Exploring Taksim Square shortly after I arrived. The kebabs will come later. 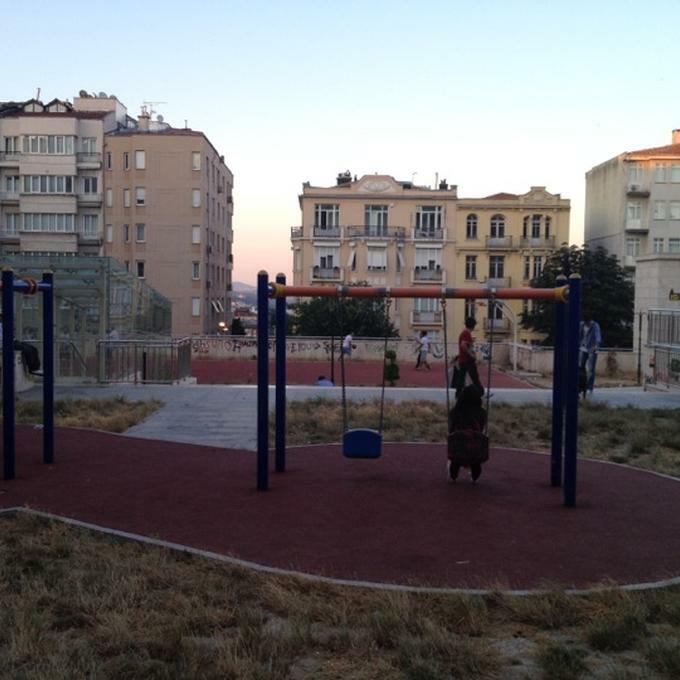 My apartment, obtained via Airbnb, was a few blocks away from Taksim Square, right in the middle of town, in a great little neighborhood called Cihangir. I met my fantastic hostess, Isil, who showed me around the apartment, pointed out nearby places to eat and shop, and made me feel at home. Thanks, Isil! 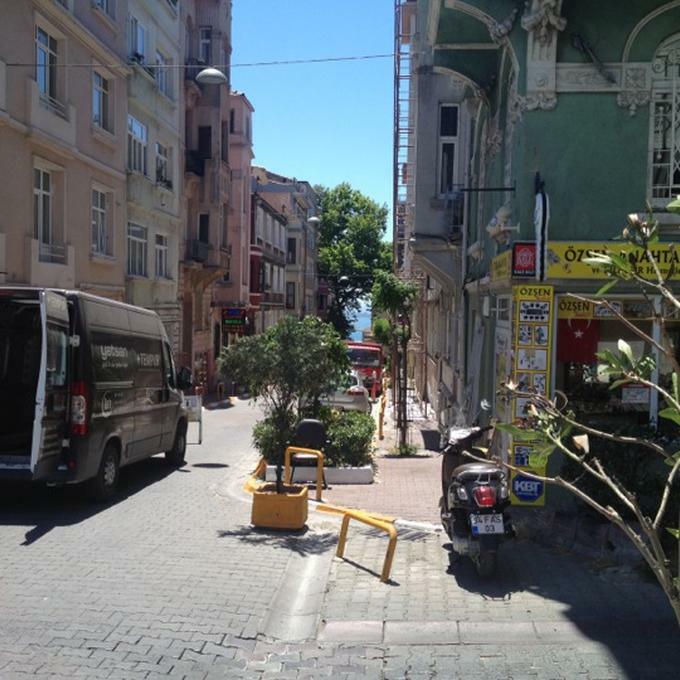 My “home street” in Istanbul had a view of the Bosphorus at the end, down a fun slope that I ended up walking (and running) several times. My home street in Istanbul with the Bosphorus in the background. I didn’t stay at the apartment long, though. I did a quick grocery shopping trip mainly for Red Bull and Efes Pilsen beer, then went out to the world-famous Istiklal Caddesi. It’s an impressive street on par with almost any boulevard from fancier cities such as Paris or Milano. It’s filled with life and energy, lots of fun shops, food stands, and more. I enjoyed walking around the whole stretch and noting places to visit later. 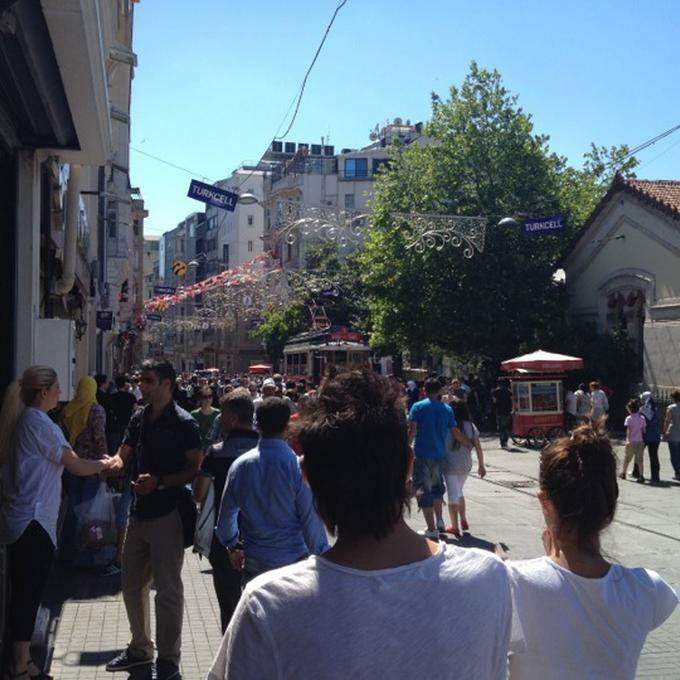 Wondering around Istiklala Caddesi on a gorgeous summer afternoon. At the southern end of Istiklal Caddesi is a famous old medieval tower, the Galata Tower. 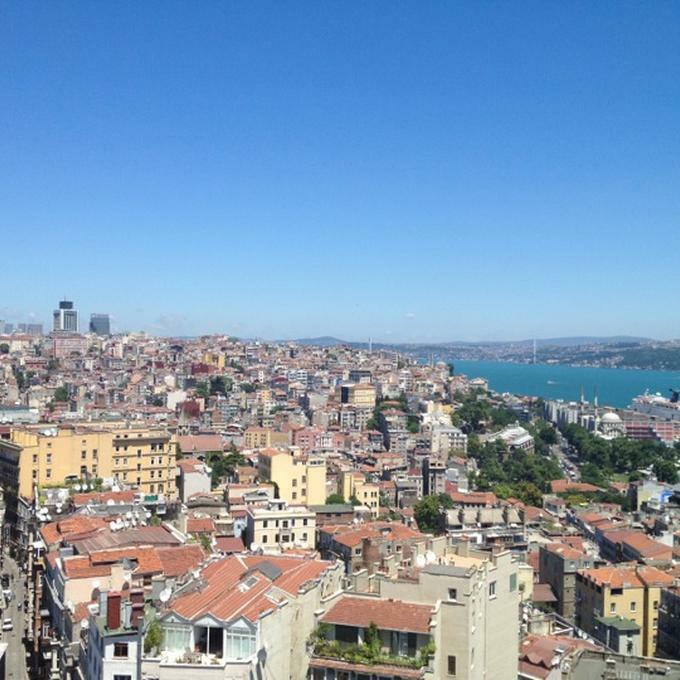 I climbed to the top for a gorgeous 360-degree view of Istanbul on a perfectly-sunny summer afternoon. This was a great welcome to the city. The site of the Sultanahmet area with its many mosques is really impressive, one of the best I’ve ever seen. From the top of Galata Tower, looking back towards my apartment. After wondering around a bit more, it was time to head back home to shower and change before dinner with my friend. Which brings me to another positive surprise about Istanbul: there is plenty of world-class food here, and not just the Turkish variety. 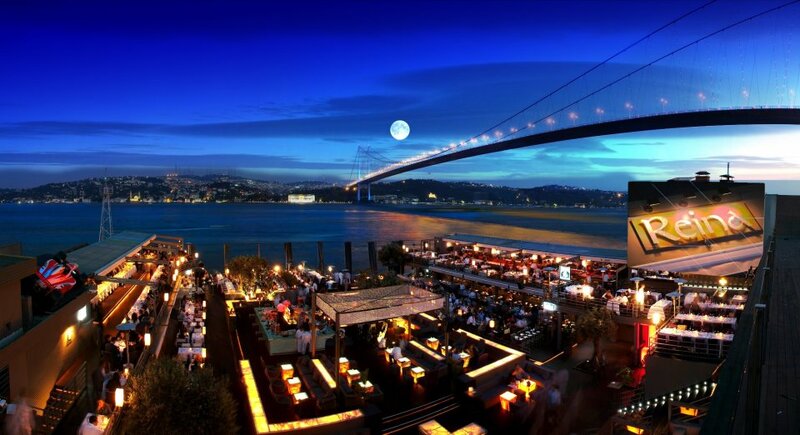 We had dinner at X Restaurant in an area called Sishane, right by the Galata Tower actually. (So I ended up walking from the Tower to the apartment, changing etc, then walking back a nearly identical route to dinner… But I didn’t mind at all, as it’s a beautiful and fascinating walk.) The restaurant competes with the Tower for its views, and makes for a fantastic sunset viewing location. Dinner was a very long and fun affair, as I hadn’t seen my friend in person for several years. After that, we went to 360 Istanbul, a club / lounge / bar nearby, which also has great views of the city, although it was dark by now. The place was packed and had some great music playing. I didn’t stay long, knowing I had a full “classic tourist” day ahead of me, and wanting some sleep. 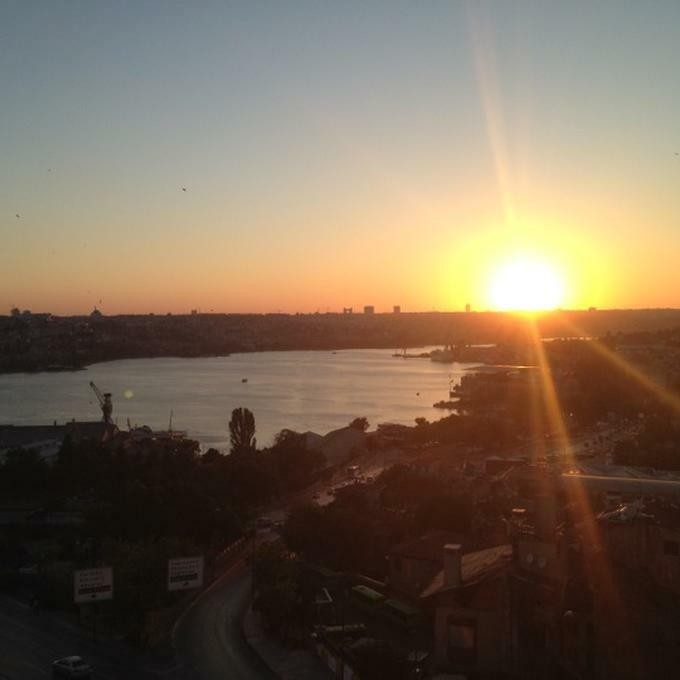 But Istanbul sure made an amazing first impression! The next day started with a morning run around Cihangir before taking the little tram from Findikli to Sultanahmet, the old city area which features many of the classic attractions. The tram, continuing a theme, was clean, fast, well-labeled, well-organized, and a pleasure to ride. 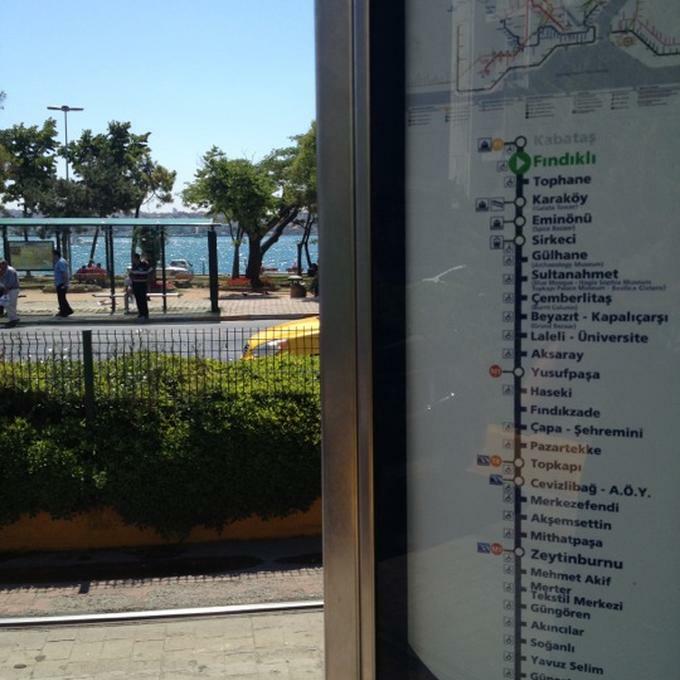 Taking the tram to Sultanahmet. 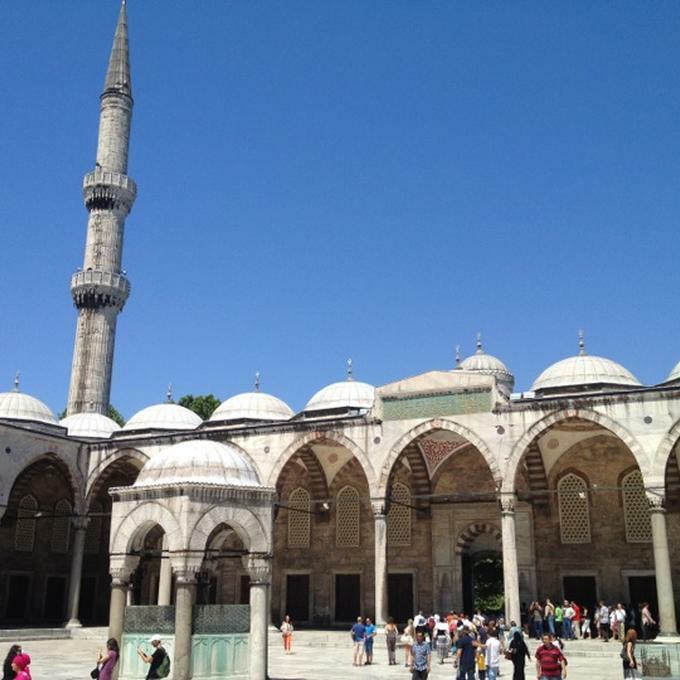 I went to the “Blue Mosque” first, properly known as the Sultan Ahmed mosque. Wow, what an impressive structure! There was a service going on when I arrived, but it didn’t take long to finish, and I walked around the mosque grounds meanwhile. I thought this building was one of a couple in Istanbul that were actually more impressive than the Taj Mahal in India, to my surprise and delight. They are also far more user-friendly, easier and more fun to visit. Walking around the Blue Mosque courtyard while waiting for service to end. 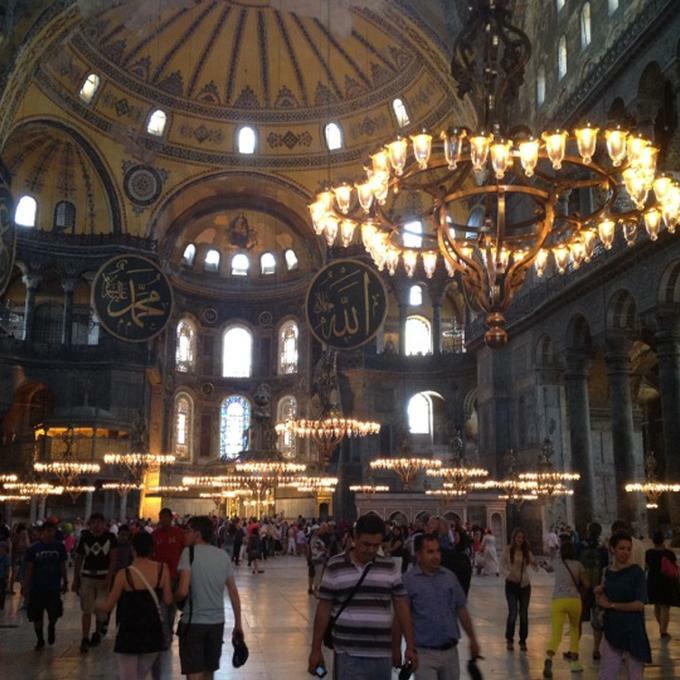 From there I went to “Hagia Sophia,” or “Ayasofia” as it’s often called locally, including on some maps and signs. Although the line here appeared long at first, it moved quickly and efficiently. Yes, another positive surprise. Sensing a theme? Hagia Sophia may be the most impressive building I’ve ever seen. My jaw dropped when I walked inside, and stayed that way for a while. The decorations and architecture are nothing short of amazing. The best part is the blend of different styles from all the different purposes the building has served over the thousands of years it’s been around. The audio tour was well worth it here because of the explanations. Inside Hagia Sophia. None of my pictures do this place justice. 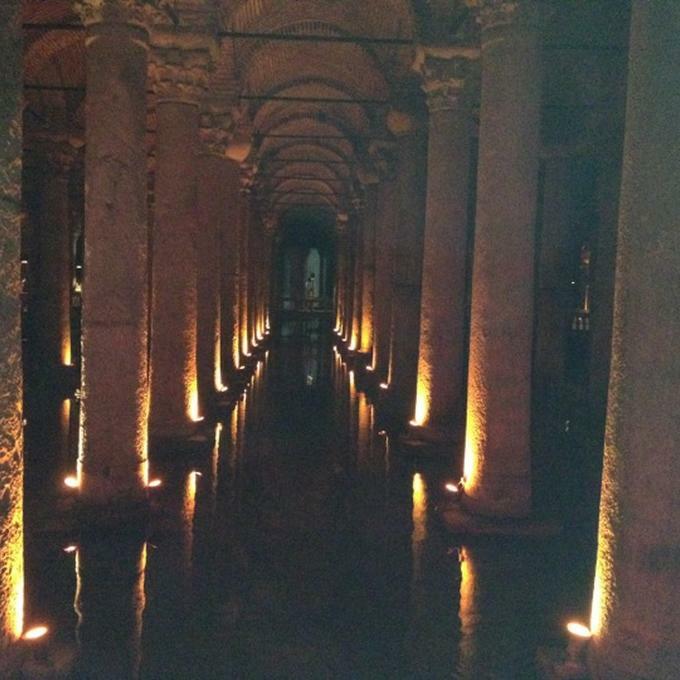 After that, I walked outside to the nearby Basilica Cistern. This is an underground structure for storing water (duh…) that’s since been nicely decorated and adorned with sculptures, lights, and more. It’s a fun quick visit. Sadly my iPhone camera is not good enough to take pictures in the relative darkness of the cistern. The whole place feels like you’re in a Tomb Raider video game. 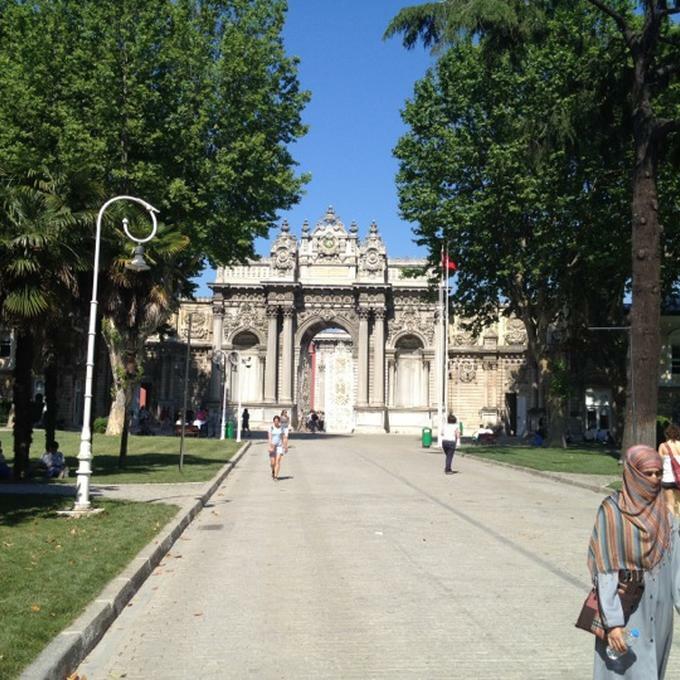 From there I walked through the big green Gulhane Park to the Topkapi Palace, another major historical attraction. The concentration of history and related artifacts in Istanbul is pretty ridiculous, in a good way. Walking through Gulhane Park to Topkapi Palace. 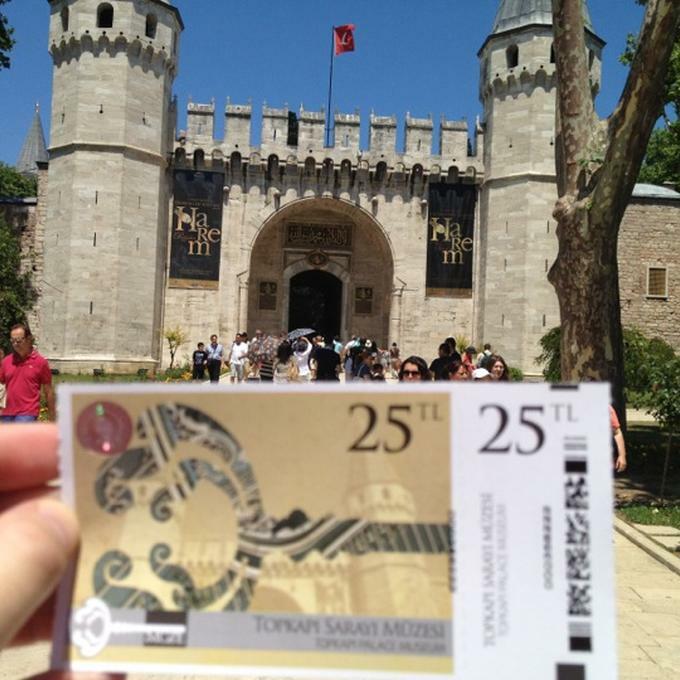 The Topkapi Palace was impressive for its sprawl, its location, and its treasures. The armory requires a separate (relatively costly) entrance ticket, but it’s well worth it. I tried taking pictures in there, but the older Turkish matron staffers were not only quick to yell at me, but also very adept at deleting pictures off an iPhone. You read that right 🙂 A 60+-year-old Turkish grandmother asked for my phone and deftly deleted pictures I took inside the treasury. Whoa. I also paid the small extra amount require to enter the Harem section of the Palace. This was mildly interesting, but not nearly as good as the treasure. Just walking around the Palace grounds and seeing the views of Istanbul on a sunny afternoon was worth the price of admission, though. 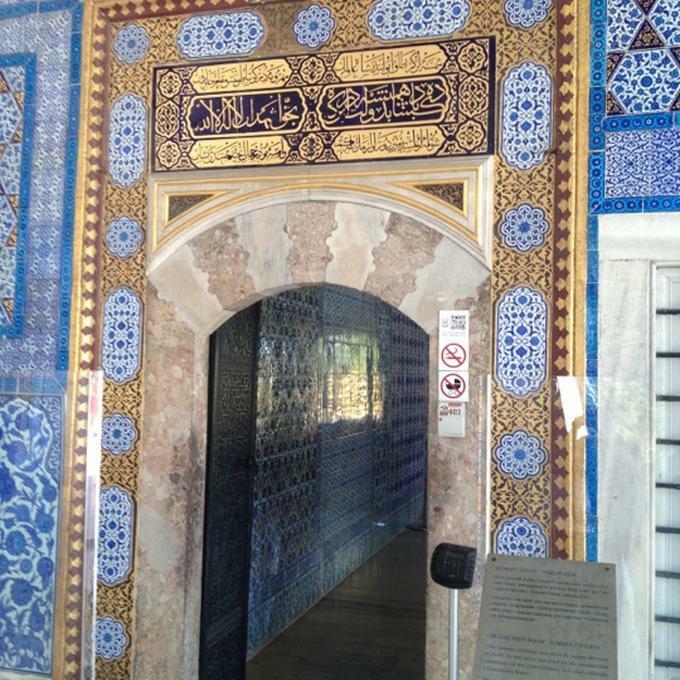 The door to one of the rooms in the Topkapi Palace. After this I hopped back on the tram towards my apartment, going a couple of extra stops to reach the Dolmabahce Palace on recommendation from another traveling friend. Thanks, Leigh, for the good call on this! I made it just in time to catch the last guided tour of the day, which was good, because they don’t let you independently walk around — you must be on a guided tour. Approaching Dolmabahce Palace late afternoon, just in time. From Dolmabahce it was a nice walk home to shower and change for the evening. The neighborhood of Cihangir really grew on me, with some familiar faces on the street nodding to say hi. The evening started with sunset drinks at 5.Kat, which literally means “5th floor,” a restaurant / bar near my apartment. They too had a gorgeous view, and really solid drinks. From there I went to a local friend’s house. He works at the IFC (part of the World Bank group) in Istanbul, and was hosting a BBQ for a few friends. I met a few more locals, all of whom were super-friendly, continuing the trend about this city. 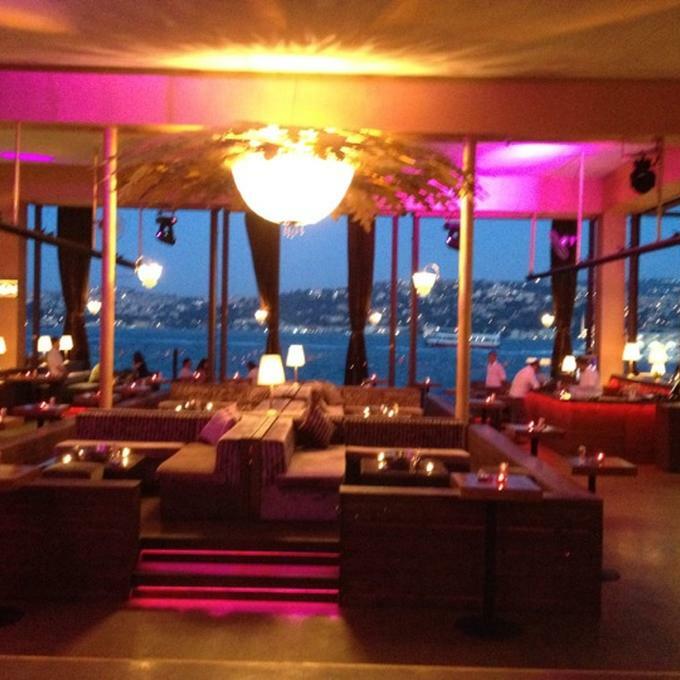 We went to Reina, one of a few Istanbul summer “superclubs,” which means it’s a big complex where you can have dinner, drinks, dance, even breakfast if you so want. They (and their crowds) stay up and all open all night, although things (e.g. furniture) shifts around. It’s actually really cool, efficient, and prevents a number of hassles around moving from one venue to another. If you’re curious, here’s more background on this type of club. Reina was awesome. We had a group of about 10-12 people for dinner (At Kosebasi, delicious), and everyone stayed for drinking and dancing the whole night. The place was packed, the crowd providing great people-watching, the music solid (lots of good Turkish pop remixes), just a great night. I didn’t get any good photos thanks to their lighting, so I’ll just use a couple of their photos to illustrate. It really does look and feel like that. Reina view from the DJ booth — this is the club’s photo, not mine. The crowd definitely got into the dancing, not just standing around watching each other. While the DJs weren’t on par with other stops on my trip, they were reasonably competent. 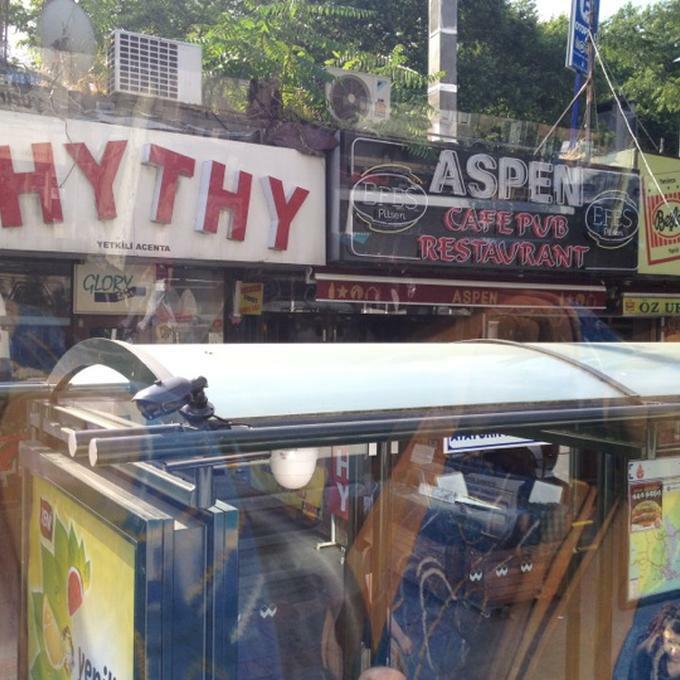 Street food rule of thumb: if a place is crowded with locals, eat there. 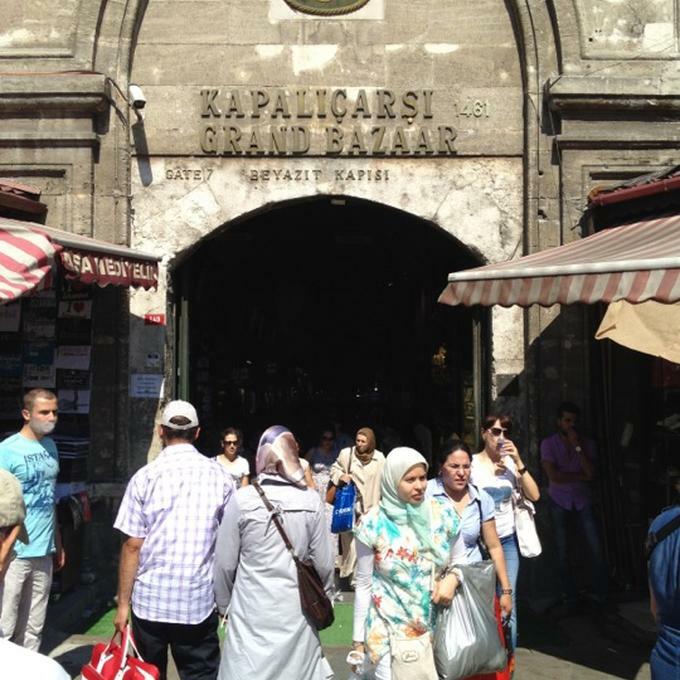 The Grand Bazaar was really cool. The hawkers are very aggressive, particularly with people who look like tourists. Thankfully, since I dressed much more like locals and wasn’t carrying a big camera or guidebook / map around (thanks, iPhone! ), I didn’t look like a tourist, so I didn’t get approached. Nonetheless, the entire dynamic is the same across the world, and always fun to watch. I walked around the Bazaar a bit, including a coffee pit stop at the famous Sark Kahvesi. Right outside the bazaar is the Nur-u-osmaniyeh mosque, an attractive quiet little place that was interesting to visit. Following my friend’s advice, I also swung by a couple of “Han”-type buildings, 2-story warehouses with courtyards inside, part of the Bazaar. After this I walked back to the old city Sultanahmet section, this time to locate the Ayasofia Hamam. 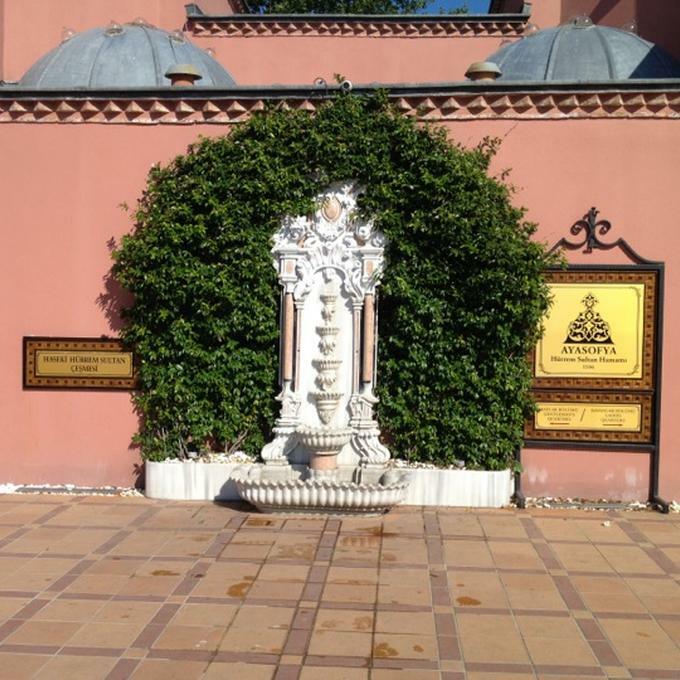 It’s a Turkish bathhosue (“hamam”) named after the famous Hagia Sophia / Ayasofia building. Although it’s expensive, it was highly recommended, and I did want to try one Turkish bath while I was in Turkey. This was a very old hamam (15th century), recently extravagantly restored and modernized, exactly my type of place. The entrance to the hamam can be easy to miss. From there, it was back home for a bit. I showered, changed, and took a taxi to the same Ortakoy district, for dinner and drinks at one of Reina’s main competitors, a place just down the road called Sortie. A group of us met through ASmallWorld (a sort of semi-private social network at the time, although now it has changed its model) and had a great dinner together. Fantastic folks from around the world. Hi Shrik, Ebru, Hande, Pixie! Sortie looks a lot like Reina. I didn’t want to stay up until sunrise for a second night in a row, but somehow we ended up dancing and hanging out until almost 4am. I was not surprised by now to see a traffic jam outside the Ortakoy clubs at 4am. 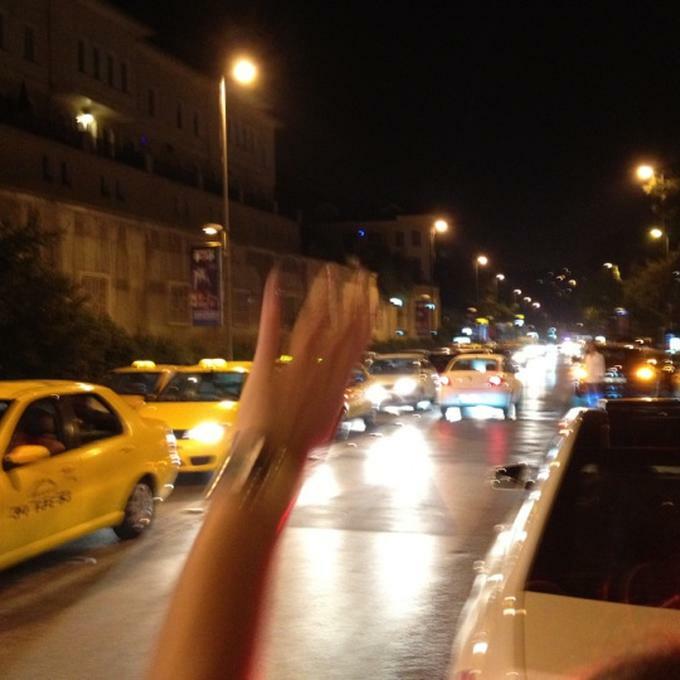 Hailing a cab at 4am in Ortakoy. Not my hand: the global rule of girls being more effective here applies. 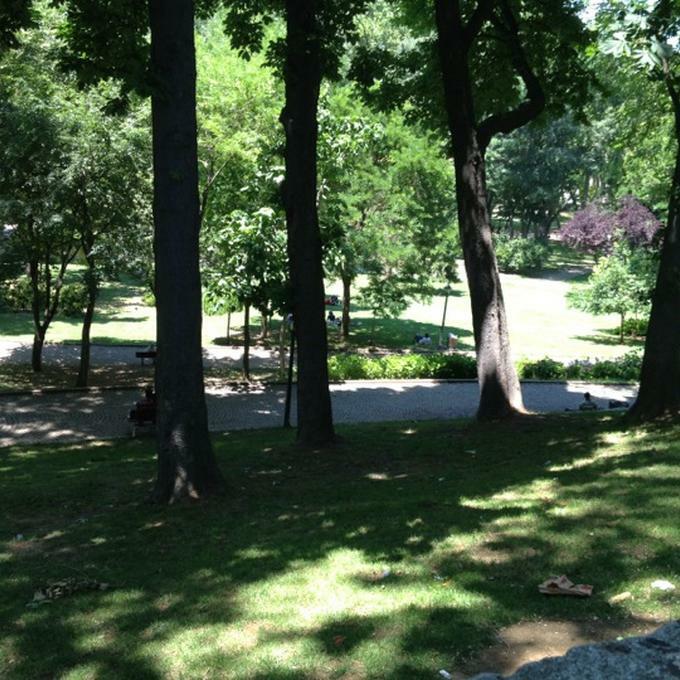 After a relatively good night’s sleep, I woke up and went for a run. The run was stopped short, though, when I saw a pickup basketball game across the street. After that (and a shower), I walked down to the waterfront, across the Galata bridge with its fisherman, and to the ferry to the Asian side, Kadikoy. That was a nice walk and a very nice ferry ride. 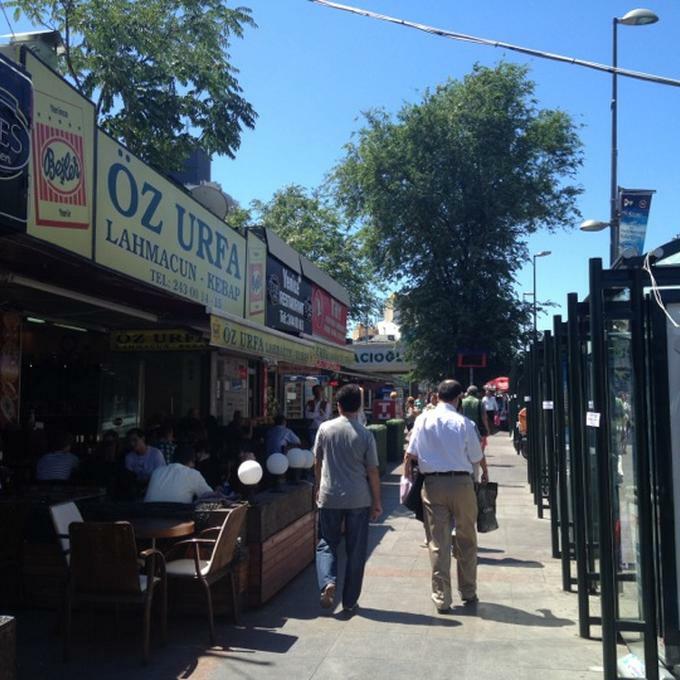 This side of Istanbul feels more residential, and has many small cafes and restaurant. It was fun to walk around and check it out, if only for variety. 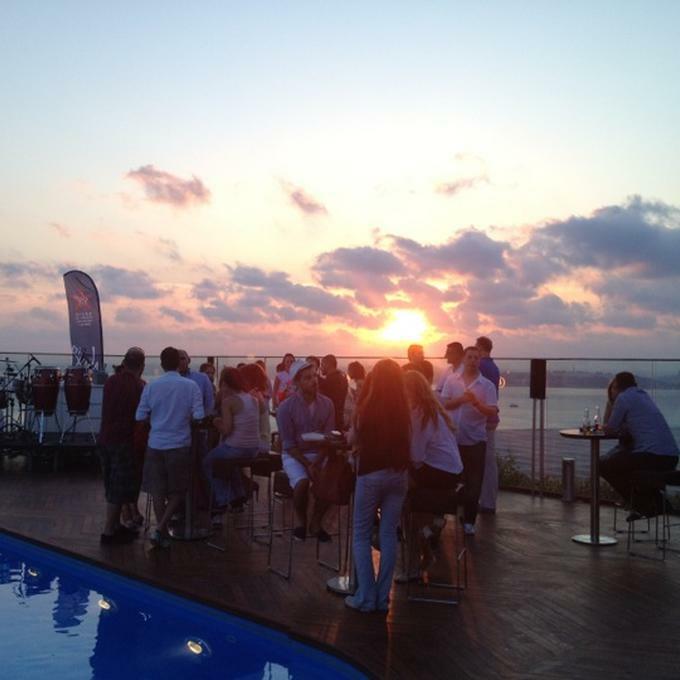 360 Istanbul East summer rooftop pool party. That party turned out awesome. 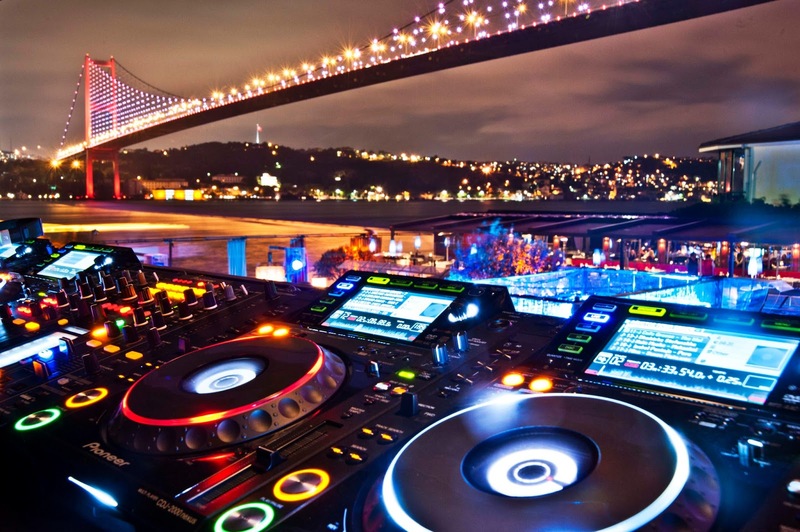 Adam Clay, a vocalist who sometimes does work for David Guetta and others, was there to accompany the DJ, and the sunset view of Istanbul was perfect. The pool was full and well-used, well-set-up for the party. 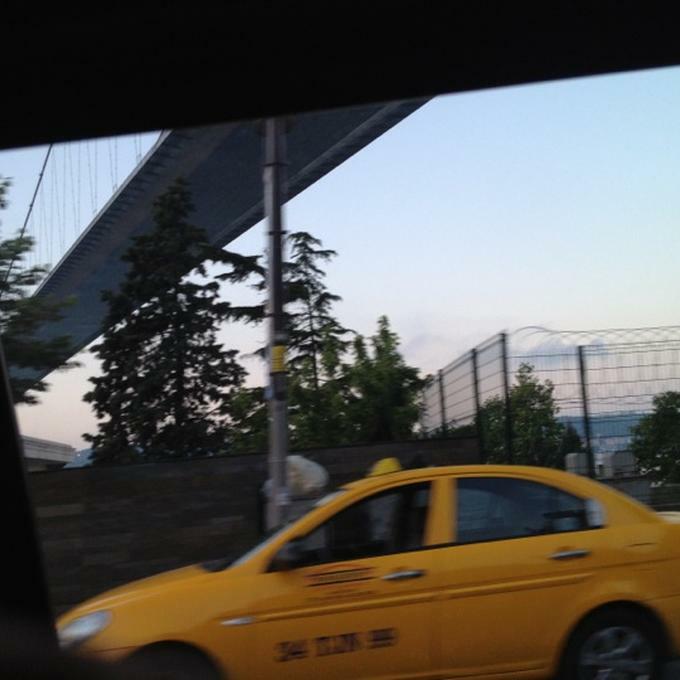 From there it was a quick taxi ride to Bagdat Caddesi to meet a friend for dinner and drinks. We had a nice quiet evening, my last one in Istanbul, pretty chill. Boarding the bus to the airport. And, finally, the next morning a nice walk around Taksim, around my neighborhood in Cihangir which started feeling like home, another quick efficient bus ride to the airport, and it was time to fly home to Tel Aviv for a bit. One final tactical note: the business lounge at this airport was one of the best I’ve ever seen, featuring a pool table, a library, a movie cinema, and more. It was all done up and built out in an Ottoman palace style, really well done, clean and spacious, with tons of amazing food. Best lounge ever. A small part of the Ottoman palace-style business lounge at the Istanbul airport. And one final strategic note: I was blown away by Istanbul. People often ask what my favorite stop was on this trip (or ever), and that’s a really hard (maybe impossible) question. 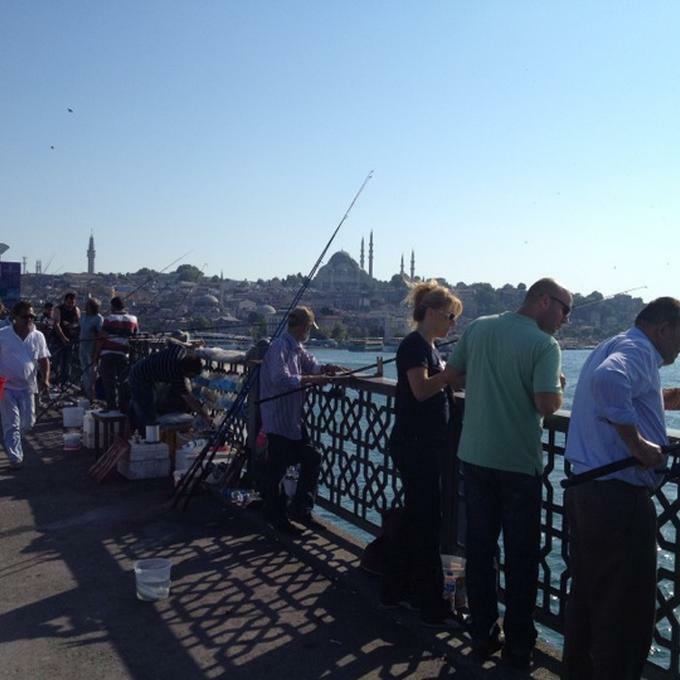 But Istanbul was unquestionably the biggest positive surprise of the trip. I can’t wait to go back. Previous Wow, has it really been two months since I posted here?